Chappell: As we wrap up Jim, I’d like you to comment on several Mid-Atlantic guys that we haven’t mentioned up to this point. 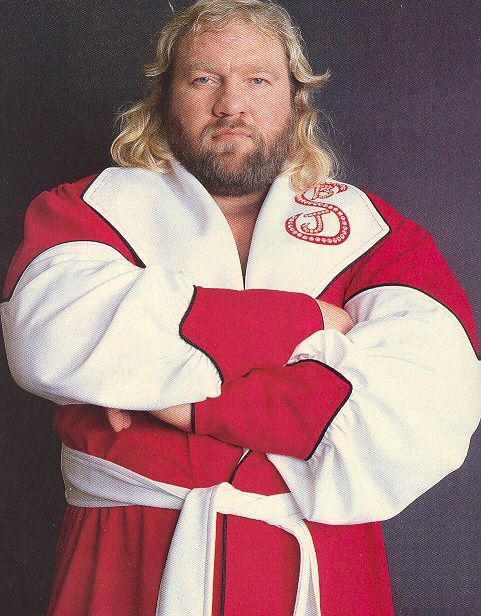 How about a word about Big John Studd? Chappell: Yeah, it takes two to tango! Chappell: Little bit of a size difference there between you two! You know, I saw him at the end when I went out to L.A., and honest to God he got involved with all these meatheads out there. He was close to 500 pounds when I saw him, and he was using all these real abstract brand new different growth hormone drugs, and stuff like that. And it wasn’t much longer after that, that he got cancer, and then he died. Chappell: Sounds like a very tough closing chapter for big John. Brunzell: He was… six feet ten inches! 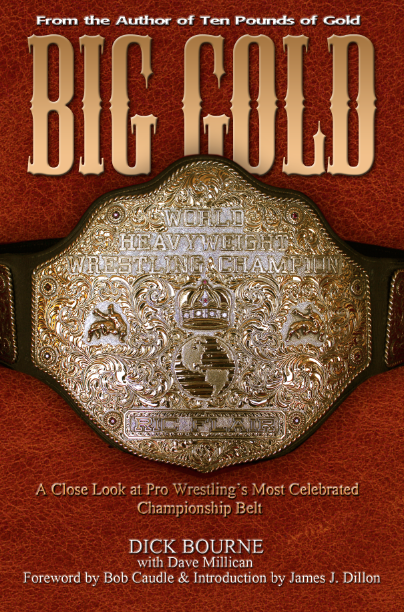 I’ll never forget that Brian Blair and I as the Killer Bees worked John and King Kong Bundy in Joe Louis Arena. We had a hell of a match with those guys! And honest to God, King Kong Bundy was six feet four and weighed 400 pounds and John was six feet ten and 395 pounds. And here’s Brian and I at 225-235 pounds, but we had a hell of a match! Chappell: (laughs) Maybe size doesn’t matter! Chappell: (laughs) Just give me a little help! Chappell: Another guy who just had a cup of coffee for Crockett, but is almost a cult figure today because of what a strange character he was, is Enforcer Luciano. You all were in the area together during his short stint in the summer of 1980. Brunzell: (pauses) AW MY GOD! AW GOD, I felt bad for him! George brought him in, and to be honest with you, he had no talent AT ALL! Chappell: (laughing) But he could chew up a light bulb like nobody’s business! Brunzell: Well, what he did was he injected his hands, fists, with Novocain and he punched this doggone brick and he broke the brick…but he broke his hand! Chappell: Oh my God, for real? I mean, I remember after he broke the brick he said, ‘AND THAT DOESN’T EVEN HURT!’ He must have been tough as hell! Brunzell: I just remember thinking, ‘Where in the hell did George get this guy from?’ George must have been taking some hallucinogenics on the side! I have no idea, God rest his soul, where his thought process was on this character. Brunzell: He was just horrible, and he wasn’t an athlete either! 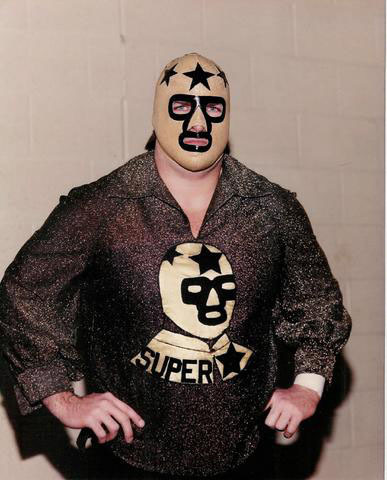 Chappell: Sort of a polar opposite from Luciano, even though they teamed up, was the Masked Superstar Bill Eadie. Your thoughts on Bill? Brunzell: Yes, Billy was an exceptional talent! One of the best masked guys ever. He was great in the ring; a good athlete. He was a football player in college, and I still see him around. He and the Demolition might still work, and he’s six months older than me! Chappell: He’s been very supportive of the Gateway over the years. Brunzell: He was always a good guy. I think he went to West Virginia, or one of those colleges in that area. 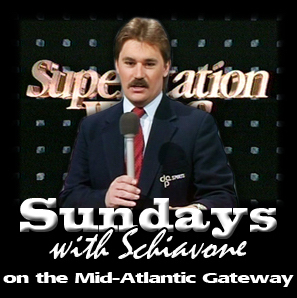 He got over good in the Mid-Atlantic. 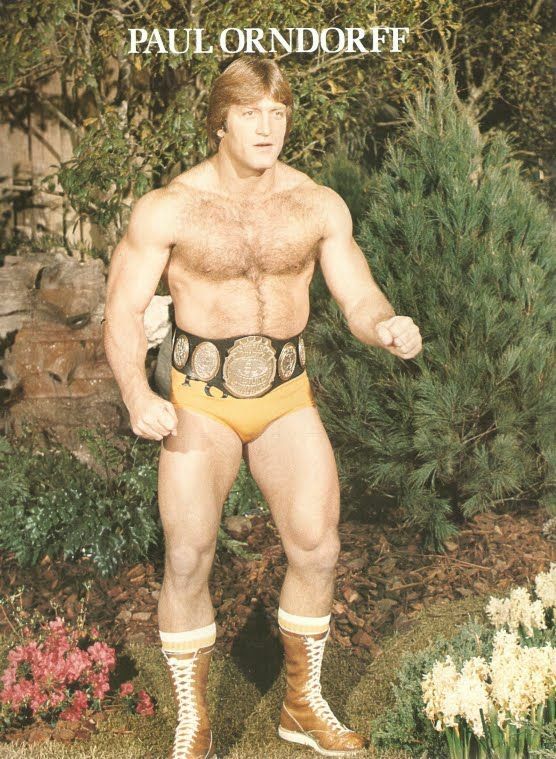 Another guy I want to mention David, is Paul Orndorff. Chappell: I always thought you basically replaced him in the Mid-Atlantic area, because he was a babyface then and right about the time he left in 1979 you came in. Brunzell: I tell you, this guy had a lot of talent and he had one of the best wrestling physiques I’d ever seen. Chappell: And he got so much better on the mic up in New York from where he was during his Crockett stay. Brunzell: Really a good guy; a little hot-headed in the ring once in a while. Chappell: I could see that! 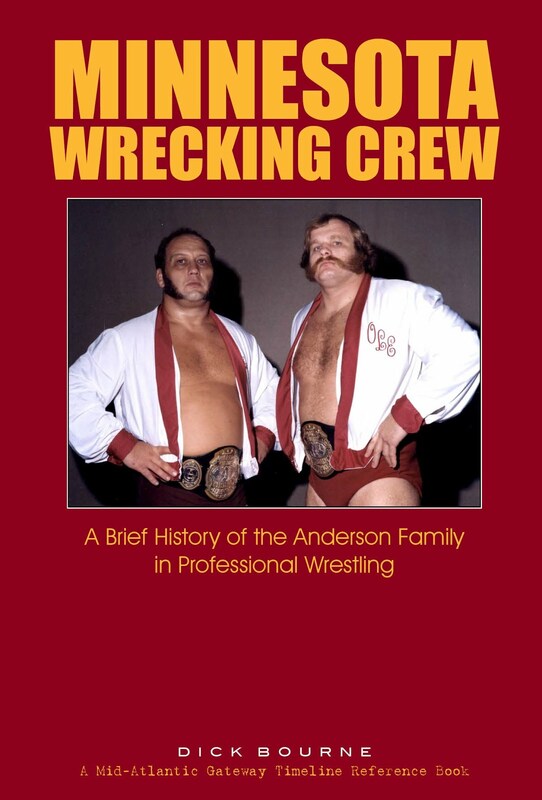 Brunzell: (laughs) It might have been in Richmond, but he and I were in a tag match with Gene Anderson and somebody else, and they were trying to take advantage of Paul, and out of the clear blue sky Paul picks Gene up and ran him all the way across the ring and slammed him in the turnbuckle! Gene’s head went violently over the side of the turnbuckle and snapped back! Brunzell: (laughing) Oh God no, he had a horrible temper! Thank God he and I were good friends! There are a lot of tough guys that you’d meet, but very few of them were real shooter types in wrestling. Most of them were guys that were street fighters, and were tougher than a cobb! Chappell: Who was the legit toughest guy you dealt with during your wrestling career? Chappell: Haku seems to be at the top of everyone’s tough guy list! Brunzell: He was by far the toughest guy, and I saw him in action in a couple of bar fights. He was the grim reaper! Brunzell: And then another guy started to come up, and Haku dove across the table and bit the end of the guy’s nose off! Brunzell: And the guy freaked; he went into shock! And of course Haku got arrested, and faced a civil suit but he was a one man wrecking crew! But he was such a wonderful guy. I met him when he was 18 years old in Japan, and he was a little slimmer then but he was a heck of a talent even then. Chappell: How did the guys feel about working with Haku? Chappell: (laughs) And rightly so! 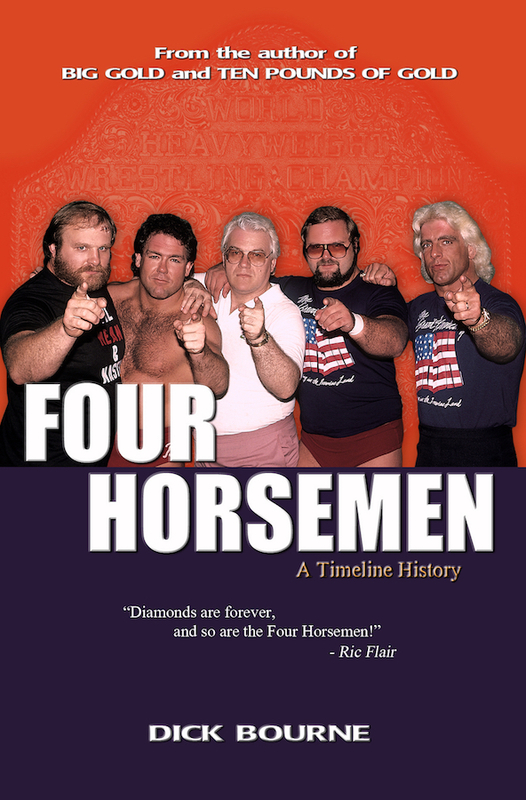 Brunzell: They were very concerned about him in the ring; they were very afraid that he might expose them if they tried to get really rough with him! Chappell: I bet! 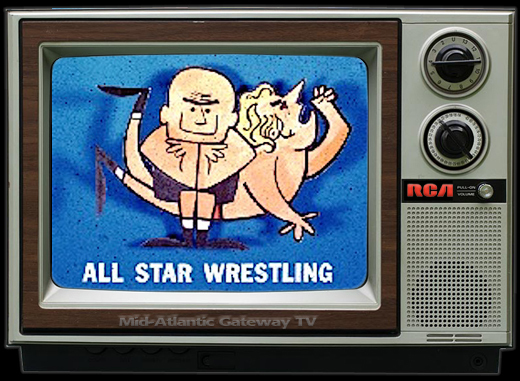 Getting back to Mid-Atlantic guys before we conclude, what are your thoughts of Paul Jones and Baron von Raschke, who held the NWA World Tag Team Titles for most of the time you worked for Crockett? Brunzell: Yes, well the Baron…I see Jimmy [Raschke] quite a bit and we still get together once in a while. And almost every area I went he was there. Chappell: You couldn’t get away from the claw master! Chappell: Definitely, Paul is a great friend of the Gateway! He’s still going strong! Chappell: Oh yes, we communicate with Paul regularly. Brunzell: Please tell him ‘hi’ for me. He’s got to be in his 70’s, right? Chappell: I believe Paul is 74 years young. Brunzell: Hey, how about Johnny Weaver? 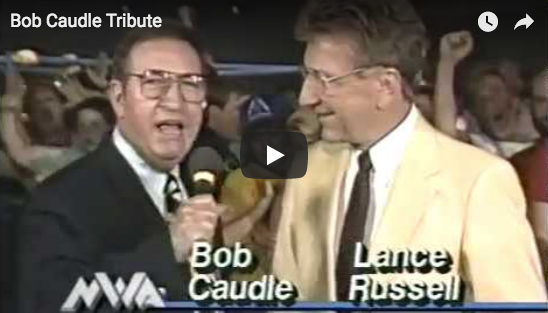 Brunzell: Johnny was a great guy! And back to Paul, I got to tell you, Paul Jones and I were working in a small town, and it was right before Christmas. And he said to me, ‘Be careful in there, I don’t want to get hurt before Christmas. Chappell: This doesn’t sound good for Paul’s Christmas! Brunzell: Yeah…I said, ‘Oh s#@t!’ He called the reverse, so it could have been me! (laughs) Paul was over in a big way in the Mid-Atlantic. 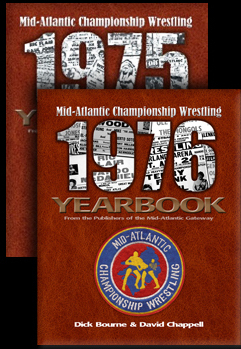 Chappell: How would you sum up your time in Mid-Atlantic Championship Wrestling? Brunzell: Like I’ve said, David, I had just a great time. I know my wife liked it in Charlotte and we had great neighbors. We worked a lot, but at least you could get home every night and that was a big plus. Like in New York you were gone for three weeks at a time. 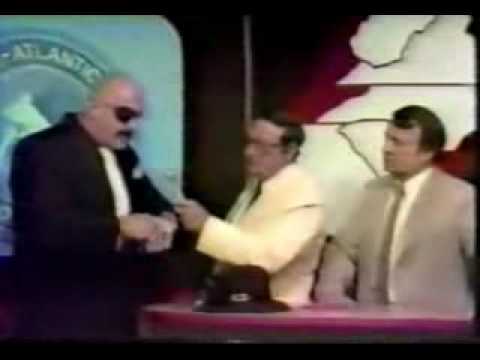 And in the AWA, which was the finest and best territory I ever worked, because Verne didn’t book you much in the summer because everybody was outside here. So, you’d work 14 times a month, which was perfect…you got half the month off! Chappell: That sounds almost too good to be true! 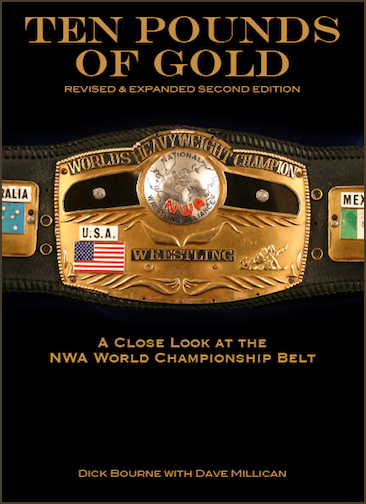 Brunzell: But I had a great time in the Mid-Atlantic, and met a lot of great people. Chappell: Well, Jim, you left a great mark in the Mid-Atlantic area. 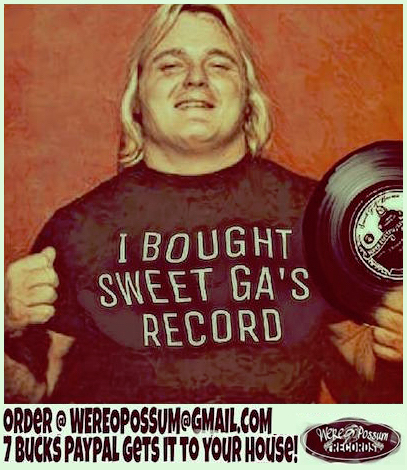 I’ve always thought your work for Jim Crockett Promotions has been overlooked, and thank you for giving the Gateway a chance to showcase those 16 months today. Brunzell: Well thank you so much for having the interview David, and to have me relive those days because it was a really nice time in my wrestling career. I’ll never forget it; I had a great time down there. 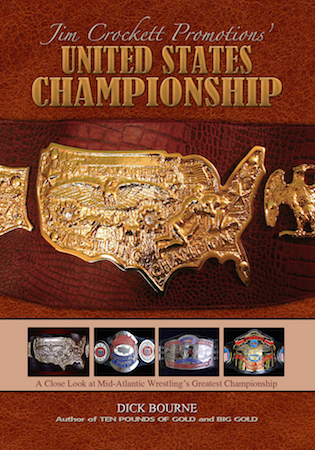 Chappell: Outstanding, the event that’s being put on by a group including Rich Landrum! 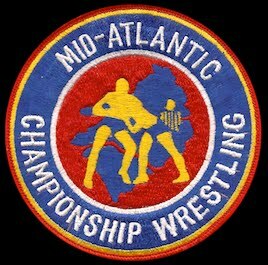 The Mid-Atlantic Wrestle Expo running May 19-20, 2017 at the Richmond Convention Center. Brunzell: Yes! I’m looking forward to it so I’m looking forward to running into you there. 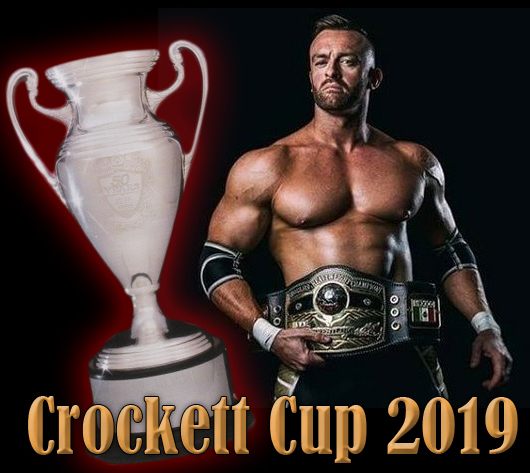 Chappell: I will definitely be there, and am really glad you’ll be there and looking forward to seeing you in my wrestling hometown! Any final words for all your fans out there? Brunzell: There are so many great fans out there! It’s fun talking to them and listening to them and have them reminisce. It brings back some nostalgia for me! I want to thank you again for having me on, and I really look forward to seeing you at Rich Landrum’s Richmond event. Chappell: It’s been a real pleasure, Jim. Happy Holidays to you! Brunzell: Same to you. Thanks David, I really appreciate it…it was fun! And don't forget Jim's book "Matlands", available at Blurb.com.